Stingray Music allows customers to discover music in more than 100 genres such as pop, rock, and tropical, just to name a few. 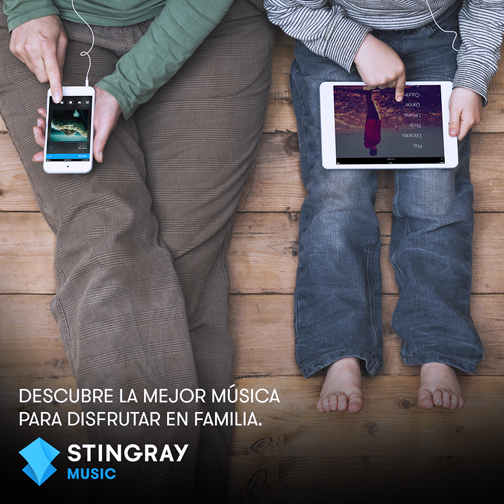 Liberty Puerto Rico announced Wednesday it is launching Stingray Music service for its video and Internet customers. This service includes 50 digital audio channels on TV, a music mobile app, and a web player. Customers subscribed to Liberty’s Ultimate and Ultimate Plus video packages and Internet services can have access to this new service at no additional cost. Stingray Music allows customers to discover music in more than 100 genres such as pop, rock, and tropical, just to name a few. Liberty customers can access all this music through their television, web and mobile platforms. The music service includes Stingray Music service on television, which provides 50 music channels in the most popular genres such as tropical, reggaetón, pop and rock in Spanish and English, and jazz. Stingray Music also gives free access to its web player and mobile app, which carry over 2,000 music channels, carefully selected by professionals to be a part of every moment, place and mood in the lives of its users. To access Stingray Music service on their tablets or mobile phones, customers need to download the Stingray Music app from the App Store or Google Play. Then, they need to create an account using their e-mail or enter through Facebook and choose Liberty as their television provider. Once registered, they should bring their tablet or mobile phone close to the television set and tune it into one of Stingray’s music channels (from 701 to 759) to verify if the service is already available. Hey Buddy!, I found this information for you: "Liberty Puerto Rico adds Stingray music service". Here is the website link: https://newsismybusiness.com/liberty-stingray-service/. Thank you.